Clusters of workstations and PC are a popular alternative to integrated parallel systems. Important research topic is development of new methods and software tools for I/O intensive cluster applications. 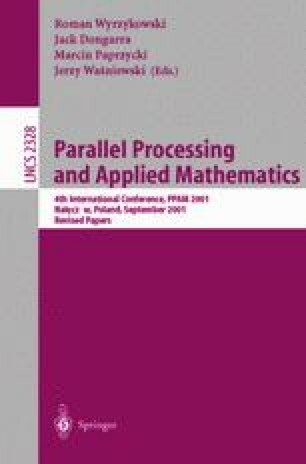 In this paper we propose a parallelization strategy and runtime library solution of the irregular and out-of-core computing. We also present and discuss experimental performance results using the implementation of the developed software on PC clusters.